Insect pests can cause substantial crop losses or even complete crop failure. 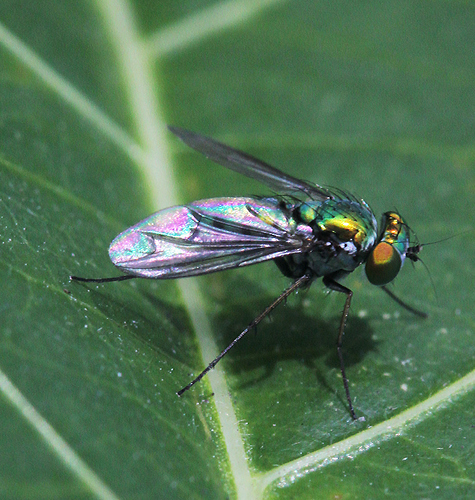 An insect monitoring strategy helps farmers make informed, timely pest-management decisions. Scouting is an important part of any monitoring approach, but it is probably not practical to walk through fields or gardens at night when many nocturnal insects are active. Traps, on the other hand, function all the time. Above-ground traps catch flying insects, before they turn into larvae/caterpillars that can decimate plant leaves. They also give the farmer an indication of beneficial insects in the garden or field. 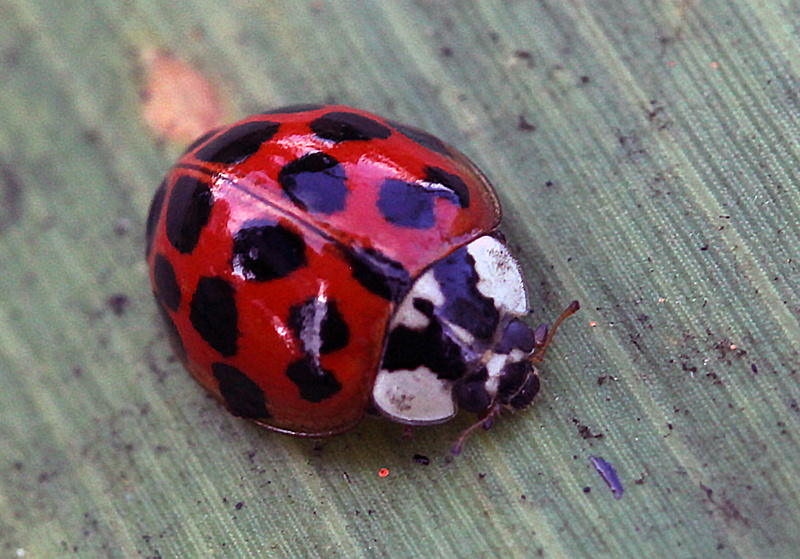 Insect monitoring traps often use color to attract target insects. Yellow, white, and blue are colors that are commonly used. 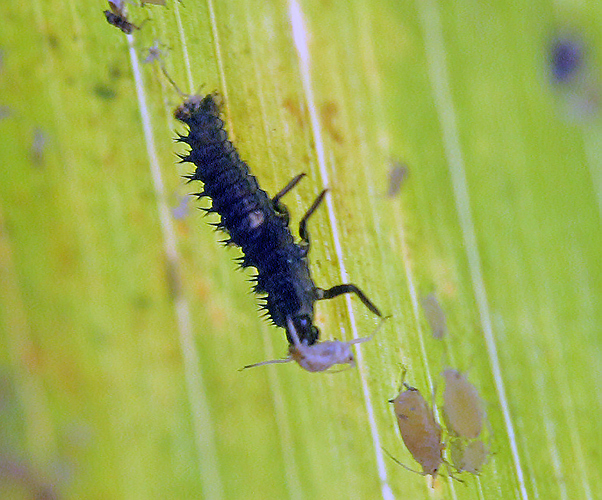 Insects can also be attracted to a food source such as molasses. 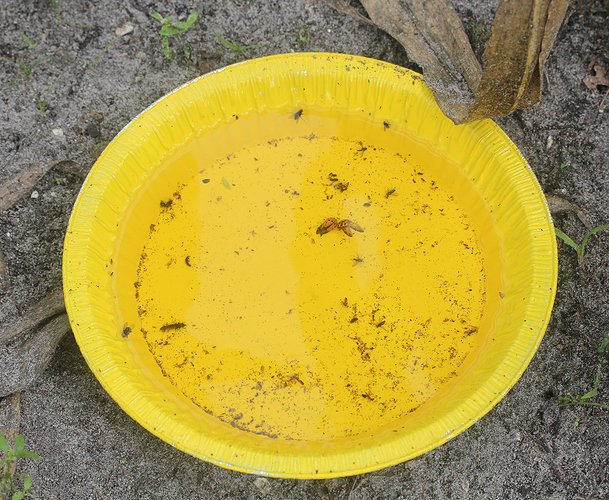 Once insects are drawn into a trap, sticky substances or water are used to trap them. Dishpan trap, consisting of a container filled half-way with water and dish soap (30 ml [2 tablespoons] of liquid dish soap). Jugs could be filled and hung on stakes or fruit tree branches. For this trial, we simply placed a round container on the ground. 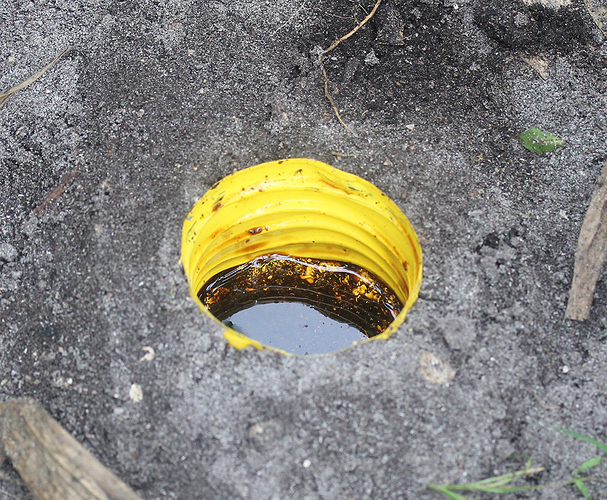 Pitfall traps made by filling a container with water and molasses (our traps were filled with 450 ml water + 450 ml molasses + 15 ml of dishsoap), with the container buried so that the top of it is flush with the surface of the ground. Sticky traps made by painting molasses onto a yellow piece of manila folder (about the thickness of cardstock) paper. 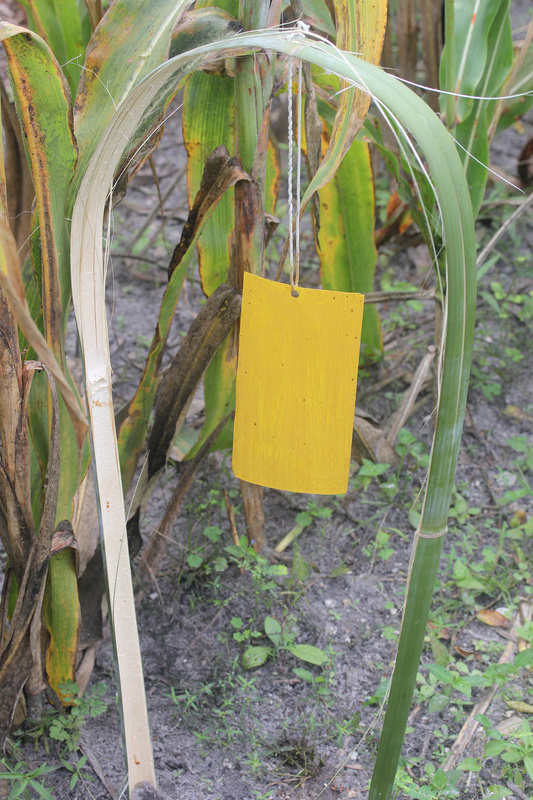 The traps were placed in between rows of sorghum at ECHO’s Global Demonstration Farm in southwest Florida. The sorghum plants were close to harvest stage, with a noticeable abundance of insects present. Using a randomized complete block design, two of each of the above-mentioned traps were placed in three locations in the sorghum plot. Insects were counted after 48 hours. The dishpan trap was the most effective of the three trap designs. It trapped more insects, as well as a greater diversity of insects, than the pitfall and sticky traps. The performance of pitfall traps was similar to that of the sticky traps. Between the three trap designs trialed in this study, the dishpan with soapy water is the best option for monitoring the most insects, both in terms of total number and number of species (see graphs below). The dishpan traps caught important pests (e.g., thrips and whitefly), as well as beneficials (e.g., ladybugs and long-legged flies). It was noteworthy, though, that beetles were more consistently captured with the pitfall than the other two trap types. The pitfall trap, therefore, could be used in combination with dishpan traps to monitor insects that do not fly. We noted that the molasses lost its stickiness after the first 24 hours. If anyone has experience making their own sticky traps, we would be interested to hear from you. There are certainly other trap designs and placement configurations that could be tried. An article by Infonet biovision, entitled Traps and Bagging, is a good place to begin learning more. Number (top graph) and species (bottom graph) of insects caught with three trap designs. Types of monitoring traps trialed. Examples of beneficial insects observed in the sorghum plot and traps.